Original Porsche cars specialist-editor. Test-driver. Comfort Zone. Majoring on performance, practicality and comfort, might the latest Cayenne S be the best all-rounder currently available from Porsche’s SUV range? Story: Simon Jackson. Photography: Dan Bathie. While there are still those who believe Porsche has no business making SUVs, I’d wager they’re in the minority these days given that every manufacturer and their dog now makes the things. My neighbour, however, isn’t one of those subscribed to the Porsche SUV mentality. She politely explained as much to me when I arrived home in the Biscay Blue Metallic Cayenne S you see here. Normally in approval of the Porsche coup´s that grace my driveway, in the nicest possible way on this occasion she’s wrong. 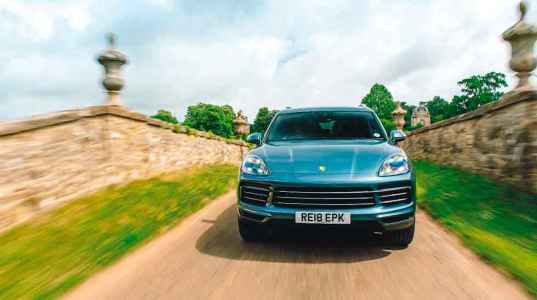 What she doesn’t know is that the Cayenne has long been both an excellent way of moving people and clobber, but also a psychics defying instrument that somehow manages to blend Porsche’s trademark handling and performance with practicality. It also happens to be as good to drive on the road as it is off it. Cayenne’s of old were excellent all-rounders with presence and prestige SUVs from other manufacturers could only dream of – this latest version is even better still at all of those things. Out of context this looks not just like a large vehicle but an absolutely enormous one. That’s before you park it next to a Ford SUV, truck or MPV of the same age, or meet head-on the latest Audi Q7. Then you soon realise it’s actually no larger than any modern vehicle of its type. In fact the Cayenne shares the same MLB platform as VWG group siblings like the Bentley Bentayga, Lamborghini Urus and Volkswagen Touareg. There’s no escaping though that the Cayenne has grown over the years, it’s not so much its near-as-damn-it five metres of length that’s an issue, but its width. The average residential street in the UK can be as narrow as 5.5-metres, rural routes narrower still. 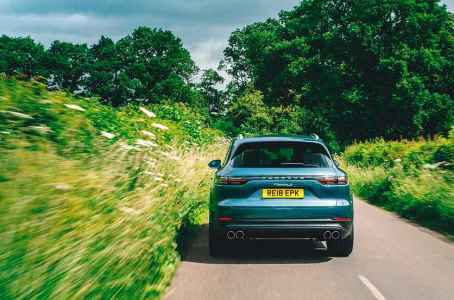 At nearly two metres wide the Cayenne’s width can make back routes bum clenchingly exciting for all the wrong reasons, but in every other given road situation it simply rules. This mid-range S model is likely to be the pick of the bunch for the vast majority of Cayenne customers. It has a 2.9-litre twin-turbocharged V6 petrol engine putting out 440hp and a colossal 406lb ft of torque, naturally that power drives all four wheels. 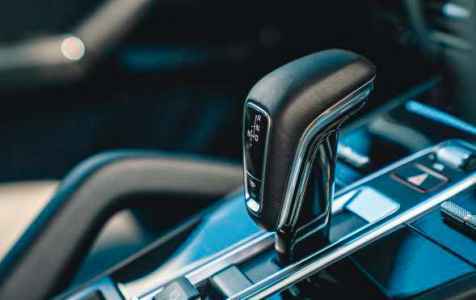 Its eight-speed Tiptronic S automatic transmission coming from ZF for the simple reason that the Porsche PDK system cannot provide the same towing capacity. As has been the case in the past torque is divided between front and rear axles but also to whichever individual wheel requires it. That’s part of the reason why the Cayenne is so good off-road, though only a small percentage of owners will ever find that out. The car you see here benefits from the optional Sport Chrono Package (£774.00) with which you’ll undoubtedly be familiar. This affords it the steering wheel mounted ‘mode’ switch, allowing the driver to cycle through the various driving modes – the most eager and focused state of readiness, Sport Plus, being the main point of interest as always. But no matter which adaptive damper mode is selected the steel springs underneath this vehicle and its – standard issue – Porsche Active Suspension Management (PASM) serve to work wonders. The small amount of vertical and lateral movement is impressive for a vehicle of this size, but as is so often the case with Porsche it’s the steering feel that amazes. Its beautifully weighted nature communicates exactly what is going on underneath and rewards in all circumstances, from simple town driving to more spirited drives. More interesting than the speed at which modern Porsche vehicles like this gain pace and maintain it though is the way in which they scrub speed off. Such is the power of the new Porsche Surface Coated Brakes (PSCBs) fitted to this car as a £2,105 option, that you end up driving for the dozy tailgater behind at all times. Should you deploy all of the braking ability available at any given moment he or she would have their head buried in the PCM system before their right foot so much as flexed toward their own brake pedal. 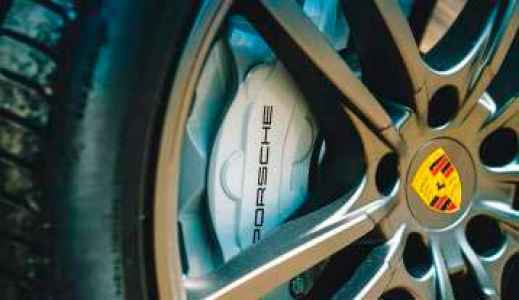 PSCBs sit above the standard steel brakes and below traditional PCCB’s (Porsche Carbon Ceramic Brakes) in the options list, however PSCBs are ceramic and as such offer a similar level of stopping power to PCCBs. 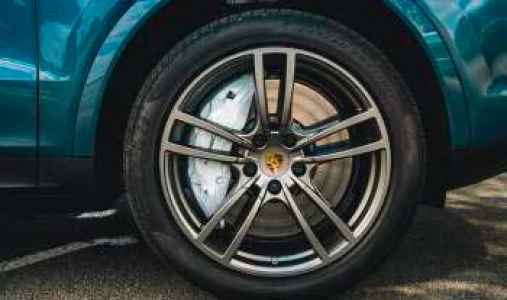 You can differentiate them from their counterparts via both the white brake callipers and mirrored discs, hiding in this instance behind optional 21-inch Cayenne Turbo Design wheels. These discs are said to create no brake dust. Like PCCBs they like to be used hard at times, poodle around town and they’ll quickly develop an annoying squeak – like PCCBs – which is difficult to clear. This was the first time I’ve driven on PSCBs and I feel they’re a little grabby, with pedal feel slightly lacking compared to traditional ceramic discs, so the jury’s out on those for me. However, I would say that with a vehicle of this size, weight and performance, stopping quickly and safely is crucial and the confidence the PSCBs afford is therefore invaluable. 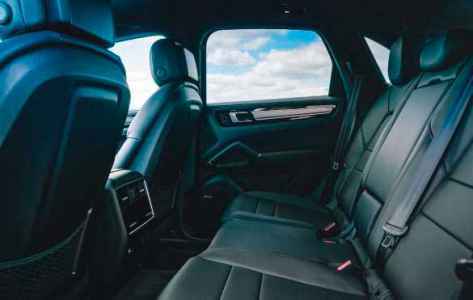 While all this talk of dynamic handling characteristics and traditional sports car levels of performance is one thing, it’s obvious that no-one buys a Cayenne unless they rate comfort, versatility and practically. This latest Cayenne is without doubt the most luxurious and comfortable version yet. 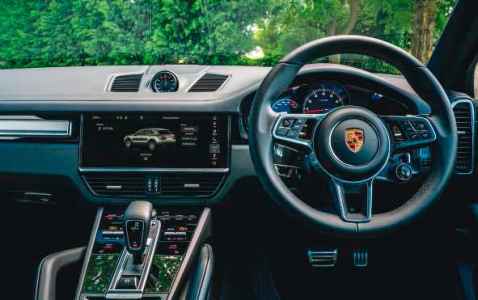 The Porsche GB website says that the Cayenne is the ‘Sports car for five’, that’s not just marketing hyperbole for it will move five people in utter comfort like few other vehicles could. 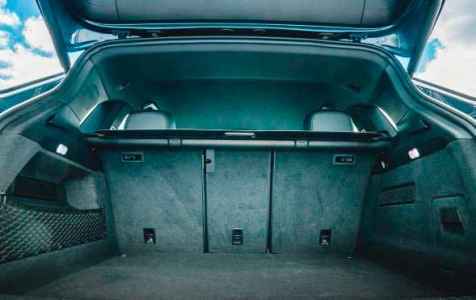 With passengers comes their “stuff” and for that there is a cavernous boot together with various door pocket compartments as you’d expect – generally speaking it’s just so spacious in here and that really comes into its own when you’re on a longer journey with people onboard. In summery then I’d say that the composure of this car in any given situation is, other than down those aforementioned tight country lanes, utterly relaxing for the driver. The Cayenne has long been an excellent all-rounder but this latest version really does raise the model’s game. Existing and forthcoming ‘sporty’ model variants will offer attractive performance but the S tested here has all the grunt one could need. I think that, taking into account its performance, size and weight, that the 30-33mpg it returned during our test is pretty profound. While I do still miss Porsche’s diesel engines the latest generation of turbocharged petrols are accomplished and silky smooth. 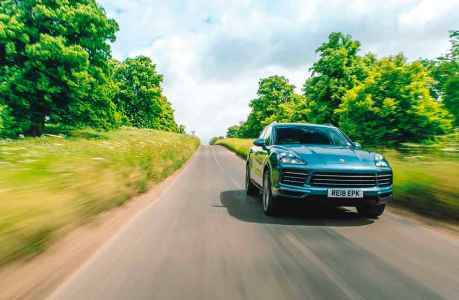 Prices for the Cayenne S start at £68,330.00, with its options our test car was priced at £83,936.00 which is getting up there a bit, but let’s remember that we’re talking about a premium SUV in every sense.